the distribution method (from spam to remote execution). Now the criminals have decided to add a new feature to their creation – a mining capability. In this article we describe a downloader that decides how to infect the victim: with a cryptor or with a miner. 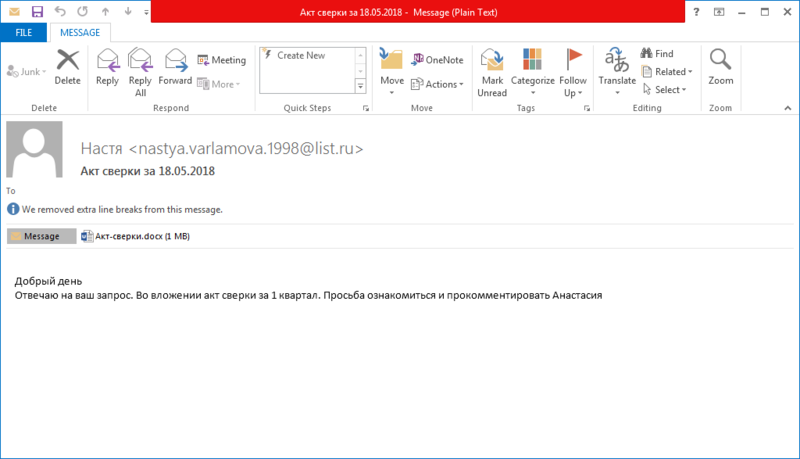 As far as we know, spam campaigns are still the main way of distributing this malware. After opening the email attachment, the victim is prompted to save the document and enable editing. The victim is expected to double-click on the embedded PDF file. 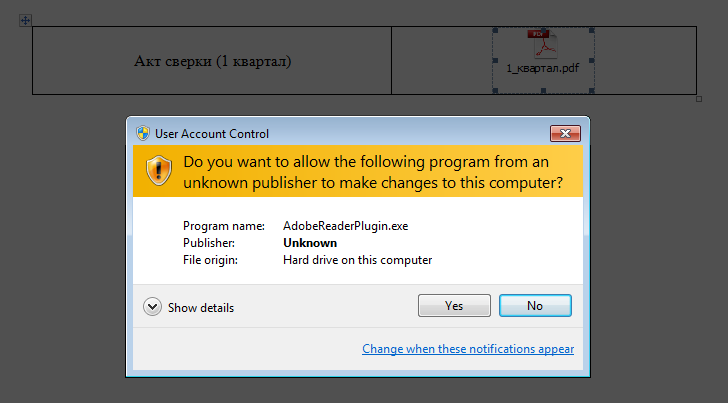 But instead of opening a PDF the victim launches a malicious executable. The downloader is an executable file written in Delphi. To complicate analysis, all strings inside the malware are encrypted with a simple substitution cipher. 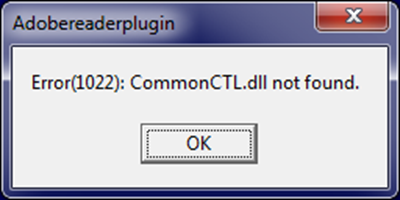 After execution, the downloader displays a message box with an error text. The purpose of this message is to explain to the victim why no PDF file opened. To hide the presence of the malicious software in the system the malware developer made their creation look like the products of Adobe Systems. This is reflected in the icon, the name of the executable file and the fake digital signature that uses the name Adobe Systems Incorporated. In addition, before installing the payload the downloader sends an HTTP request to the address www.adobe.com. Checks that none of the processes listed in the table below are present. Obtains the external IP address of the machine and compares it with hardcoded values.